Smart Cities: The Next Big Thing in Energy? Cities around the world are working to get ahead, and one method gaining popularity is to become a smart city. Implementing smart grid technology is not enough anymore. With earthquakes, tsunamis, hurricanes, and nuclear meltdowns, cities are kicking their efforts into high gear in order to protect their residents and local businesses. According to a report from Pike Research, the number of people living in cities will grow from 3.6 billion to 6.3 billion by 2050. With such a change, major cities must start developing ways to improve efficiency and profitability in all areas from energy consumption to transportation. The report also predicts that the smart city technology market will increase from $6.1 billion annually to $20.2 billion by 2020. These cities are currently developing ways to achieve higher energy efficiency for buildings, detailed water monitoring systems, better transportation management, and stronger smart grids. One city taking major steps in this program is San Diego. This city is focusing its efforts on educating consumers on how to monitor their energy usage, assisting California in meeting its renewable energy goal of 33% by 2020, and automating the electric grid with two-way communication. The Smart City San Diego initiative is in full swing at the San Diego Zoo with the nation’s first Solar-to-EV project. The zoo installed 90 kW solar canopies that are able to directly charge five vehicles and store the power for future use with a 100 kWh energy storage system. The amount of carbon dioxide saved by this project is equivalent to supplying energy to 59 homes! Each of these projects is varied and diverse, with some considering energy and others considering EVs. However, the main aim should be to consider the lifestyles of the citizens, which in the end will determine the form the cities should take. Smart cities are not something that should be tackled by just governments and corporations and then presented to residents. The general public must also be actively involved in sharing their own ideas and helping to formulate the cities by throwing their own wisdom into the pot. That is what smart cities are all about. The development of smart cities can be a time consuming process, but improved energy efficiency and heightened profitability will encourage more cities to begin the transformation. Not only will the city and its residents benefit, but the surrounding environment will benefit as well. Thank Sarah for the Post! "Glasgow has some quite extreme challenges - it has the lowest life expectancy of any city in the UK for instance - and the hope is that if we bring together energy, transport, public safety and health it will make it more efficient and a better place to live," said Scott Cain, the TSB's project leader for Future Cities. Great information! I think we will definitely be seeing more smart cities in the upcoming years. Are incandescent bulbs still used in Europe? Is CHP used a lot more than in the USA? Community steam heat? 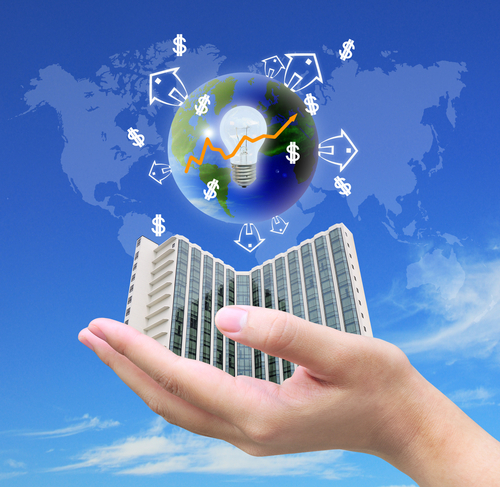 How does energy efficiency compare to the USA? Surely it must be a lot better. Many argue that undergrounding can help prevent wildfires, and also protect power lines from damaging weather. But the practice is expensive, and may not actually solve these problems.